You had a really unique experience in Africa with your band? One of my favorite shows with the band took place in Ghana, W. Africa. It was supposed to be a 3pm concert. We asked the musicians to be there for sound check and set-up at 2pm. I was distraught when absolutely NO ONE was at the concert site at 3pm…3:30pm…4pm and then 4:30pm! When the musicians finally arrived they explained that there were goats in the road that held them up. That was a first – but, if there are goats there are goats!! All in all, the concert went extremely well. The people enjoyed us so much that we ended up coming back to record a music video that became one of the top five music videos in the Ghana. I am cultivating my own work as a solo artist, mixing elements of R&B, gospel, and retro funk. I recently performed solo sets at Club Zanzibar and Club Amsterdam in Los Angeles and am focused on my in-studio work for the release of my first solo album in 2010. 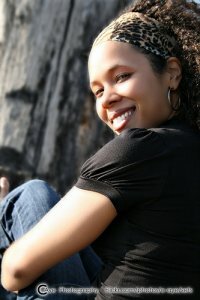 You can find out about my upcoming shows, announcements, and general whereabouts at www.thekelleynicole.com. You studied at Harvard? What advantages did you have studying at an Ivy League school? The funny thing about my time at Harvard is that I went in with what I thought was a clear picture of how I wanted my life to unfold, and I left with a completely different outlook on the possibilities my life could entertain. While I had been singing most of my life, I never considered music a core part of my being until I spent all of my extracurricular hours in the gospel, classical, and acapella groups that defined my experience on campus. At Harvard, and in my life thereafter, I learned that the biggest advantage an Ivy League education can give you is FREEDOM – freedom to define your life the way you want to; freedom to cultivate a life path that is fulfilling in several ways and may or may not fit into a box of what others call “normal.” I have classmates that have won fellowships to New Guinea to study the mating rituals of sea turtles. Or one that turned her love of music management into an internship at Sony and a career at Bad Boy Records. The sky’s the limit when you leave the halls of an educational institution because you’ve learned the resourcefulness that is necessary to live out your passions. What is your ‘day job,’ or complimentary career? I wanted to ask the questions that sometimes don’t get answered in a newspaper review. Not only do I cover things like who this show may be appropriate for but I’ll even find out good places to eat beforehand or other tips they think would be helpful to others. If you spend some time on the site, you’ll see were trying to take the production out of seeing a production. Once the show caught on I began to branch out. I’ve now got correspondents across the country that can tell my audience which shows they must see in their cities. There are so many great shows and things to do in each city, it’s hard to keep up so I try to be a resource for folks looking to not only support local talent but also get out and have a great time! 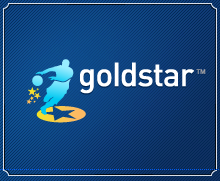 There is a major perk that comes with working at Goldstar. All of the employees get a monthly stipend to go see shows. Chances are, if I’m not performing then I’m out watching someone else perform. It helps me grow enormously as an artist. Their creativity feeds my creativity. On “Miss This Show and Die” I get to combine a lot of things I like to do – reaching out to my peers around the country about what’s happening in their neck of the woods, talking about entertainment, and unearthing some of the best stuff that people may not find out about on a regular basis. I expected that I would be more involved in straight-forward business endeavors such as investment banking in the throes of Wall Street or management consulting. I chose economics as my major when I was a freshman because I thought that would bring me closer to this goal. What I didn’t quite know was what in particular about “business” intrigued me. Business is an organizational tool through which we bring value to the world, but what was it that I actually wanted to sell? As I become more involved in artistic organizations on campus I finally understood that what I wanted to bring to the world was high quality art and entertainment, as well as making some of it myself of course! I value my business experience and economics background because it helps me bring a valuable perspective to how artists and artistic organizations can get best market themselves. 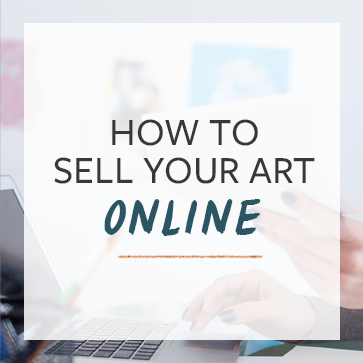 Being an artist, just like any other business investment, is all about the acquiring, balance, and management of resources, specifically your time and money. You must decide what your focus is early on so you can figure out the right balance of those resources. If, for example, you’ve spent most of your childhood honing your technical chops on the bass guitar and decide you want to start gigging, then your time is best spent going after those opportunities. If you are cultivating a new creative work, your time must be balanced by working a day job and crafting your work. The point is, it’s important to decide your focus because that will determine the choices you make regarding your resources. It is possible to achieve your artistic goals if you focus your efforts in the right direction.